HP SDLT storage media is ideally suited for data center and departmental backups where compatibility with existing DLT libraries, performance, and cost per megabyte are critical. 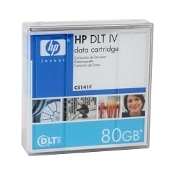 HP DLT is ideal for mid-range to enterprise requiring reliable, high-capacity back up. DLT is the answer to the high-capacity storage and archiving needs of mid-range systems, network servers and high-end workstations. . If you have any questions or hesitations please give us a call at 619-684-5241. We work for you! 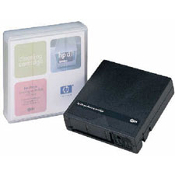 Choose HP supplies, or USA Imaging Supplies certified tapes where available, and ensure top quality output and superior reliability, as well as complete compatibility with HP devices. All supplies listed here are guaranteed to work perfectly and deliver outstanding results.